When your Empress Walk Dental dentist performs a root canal treatment, one of the last steps in the process is ridding the root canal space of irritants from the gangrenous and necrotic root canals. These irritants, which can be bacteria, protein degradation products, and/or bacterial toxins, are extremely unhealthy to have around. Therefore, the dentist needs to eradicate them by cleaning, shaping, and sterilizing the entirety of the root canal system. Sometimes, though, this work can be difficult due to poor visibility inside the mouth and the root canal area more specifically. It is essential for the dentist to get rid of all of the nasty irritants so that the filling can be completed properly and so that the area does not get infected and start to decay all over again. The best way to accomplish this is to use the three-dimensional filling technique. When conduction root canal therapy, dentists are faced with issues similar to filling any sort of dental cavity. This is a tiny space filled with so many different variations that can be different from one root to another. When dealing with a coronal cavity, the gap or space can be easily visualized. However, with a root canal, the filling needs to be absolutely complete in areas that are beyond the vision of the dentist; at depth in the apical foramen as well as at the major accessory foramina. To ensure complete treatment, the limits of the cavity need to be extended in very particular ways to make sure that all carious dentin are removed so that the filling can be put in suitably. Similarly, cavities created in cleansing and root canal shaping need removal of all organic obstructions, debris, etc. In effect, the core objective of the root canal is the three dimensional filling of the root canals, as well as any accessory canals. In the past, dental radiographs could lead to inadequate appearance of the canal’s shape. This could lead to issues where too much importance was put on the fact whether the filling reached the radiographic apex of the tooth or if it overreached beyond the apical foramen. To solve for these 3D obturation techniques were developed in order to focus on both the vertical and horizontal filling of root canals. 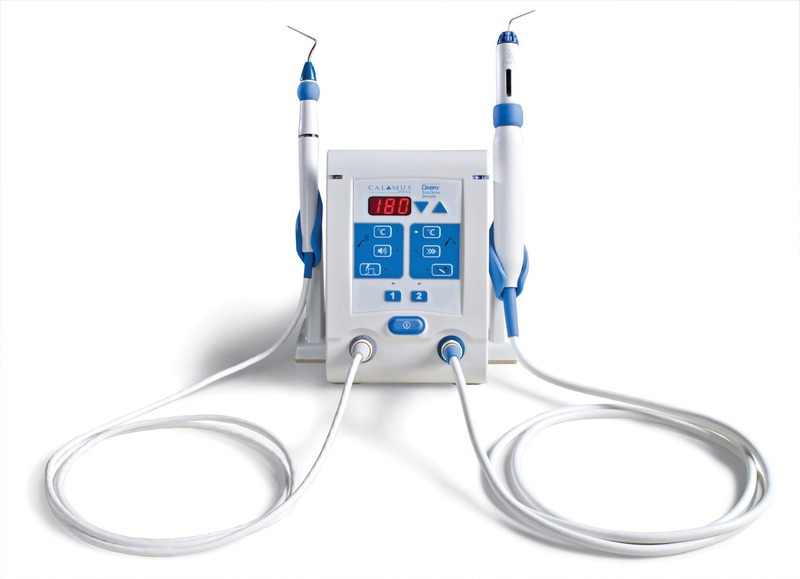 To achieve the very best results, we use the Calamus Dual 3D Obturation System, which has an ergonomic design that helps our dentists go from step to step in the root canal process smoothly and efficiently, minimizing the time that patients spend undergoing the procedure. The Calamus hand piece is slender and flawlessly designed, with perfect balance. The precise control allows us to have absolute confidence in our procedures and the quality of care you receive. This is just one more way Empress Walk Dental invests in the technologies that will benefit our patients most.